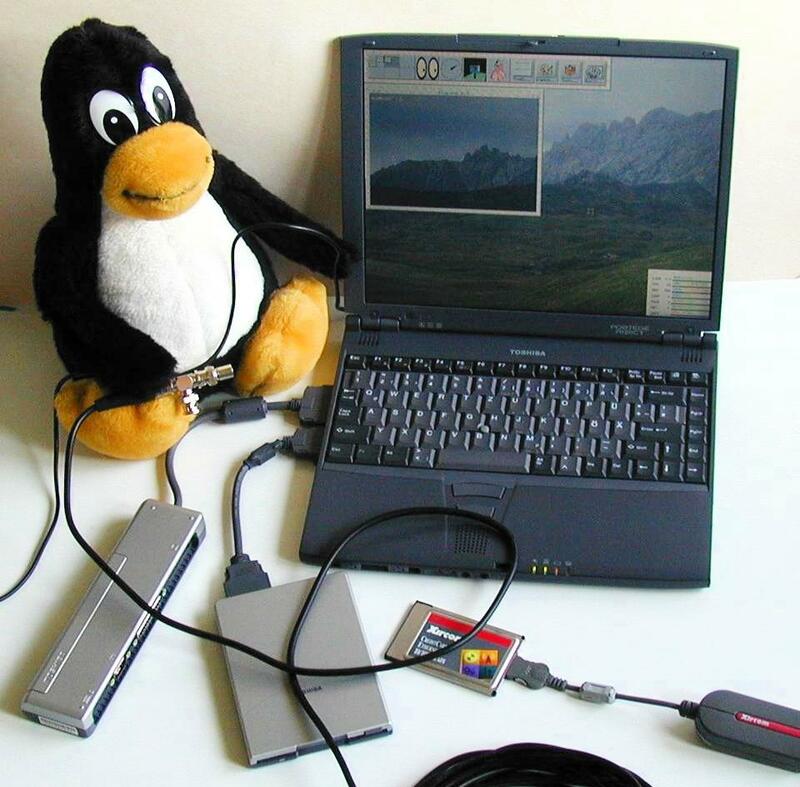 You would probably have heard that installing Linux on a virtual system is the safest (actually, right), but if you really want to enjoy the Linux operating software you will need to install it on another partition or disk and have it run as a real operating system on your PC. In this post I will teach you how to do this without endangering your windows partition and operating system in anyway. I must let you know that I have done this a couple of times with Kubuntu 8.04 , Ubuntu 8.04, Mandriva 2009 and Kubuntu 9.04, but I am very sure it will work same way for Fedora core 10 and later, OpenSuse 11 and later. For Vista: If you do not have a partition you will like to install the Linux on yet, you can shrink an already existing partition by right clicking on Computer, choose Manage, choose disk and volume management and right click on the partition you want to shrink, choose shrink, and indicate the size of the new partition you want. Now do not format the unallocated space, it is better to leave it this way. And if you already have a formatted partition that you want to use, do not bother doing this. For XP: I really do not know a safe way to create a new partition from an already existing one, so I will assume you already have a partition ready for the Linux installation (I was told that Norton Partition magic works hassle-free but I have no first-hand experience on it). A great workaround is to let the Linux resize the windows partition and use some of the free space, I have done this using Mandriva 2009 before and it worked hassle-free. Just make sure you shutdown the Windows OS properly (not hibernate). Insert the Linux bootable CD/DVD into the DVD drive (I will advice you to use live CD/DVD, it is more user friendly and very straight forward), then restart your computer, make sure it boots from the CD/DVD drive, choose 'Start the Linux OS without making any change to your system', though the exact text might differ from that, it always mean boot from the CD/DVD without installing the Linux operating system on your computer, it will only use your RAM without touching your hard disk. After the Linux has finished starting up, click Install on the Desktop (you can explore the Linux OS before doing this). Answer the general step by step questions it asks you, but when it gets to the installation proper, choose the 'free space' ( if you have created an unallocated space in the step 1) or the free partition you prepared for the Linux. Enter ' / ' for the mount point ( where your root/default admin folder will be located), choose the ext3 filesystem and format. Complete the installation, if you see grub bootloader configuration, accept the default (except the time delay before it will automatically boot into Linux, this is usually 10 seconds, change it to 30 preferably). The computer will automatically restart, remove the Linux bootable and let the computer boot from hard disk. Do not be scared to see that there are three Linux options and one windows option, the grub bootloader that came with the new release of Linux automatically detects the windows, shows a normal mode Linux, a safe mode Linux and memory test Linux boot mode. If you want to boot into Windows select Windows and press Enter. Voila! You now have Linux installed on your computer. If in anyway confused, reply through the comment. Linux recognizes and interacts with most external devices like USB flash drive, Bluetooth, serial devices etc without any additional drivers installation. If you have a Sony laptop, I will recommend Mandriva 2009 or Kubuntu 9.04 as it has the drivers for your wireless and screen brightness control (I had to install the drivers for my wireless from a source code on my Sony running Kubuntu 8.04, OpenSuse 11 also has the same problem). If you use HP or Dell, I will recommend (K)Ubuntu 8.04 or later. Never install Linux before Windows because Windows bootloader cannot detect Linux. But if you have no choice you can reinstall the grub bootloader. If you want any further clarification, you can ask via the comment.